INTEKE Color Assessment Cabinet is very nice all the lamps are exactly as mentioned in the information booklet. 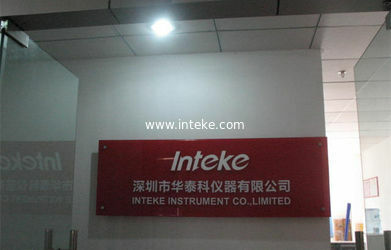 Inteke specialized in D&P and sell the instruments as Color Light Booths, Textile Testing Instruments, Needle Detector,etc. They are widely used in fields such as textiles, dyeing, printing, metal, garment, shoes, leather, chemical, plastics and toys . We concentrate on product quality and technology improvement, and provide considerate service. Our products have been sold to countries and regions such as South Korea, Thailand, Singapore, Indonesia, Oman, Vietnam, Australia, Turkey, Malaysia, India, Germany, United Arab Emirates, America, South Africa, Italy, Egypt, Syria etc. And up till now, we have got No.1 in Sales Amount. INTEKE concentrate on product quality and technology improvement, and provide considerate service. Our products have been sold to countries and regions such as the USA, Brazil, Canada, UK, Germany, Italy, Australia,Singapore, Indonesia, Vietnam, etc. And up till now, we have got No.1 in Sales Amount.